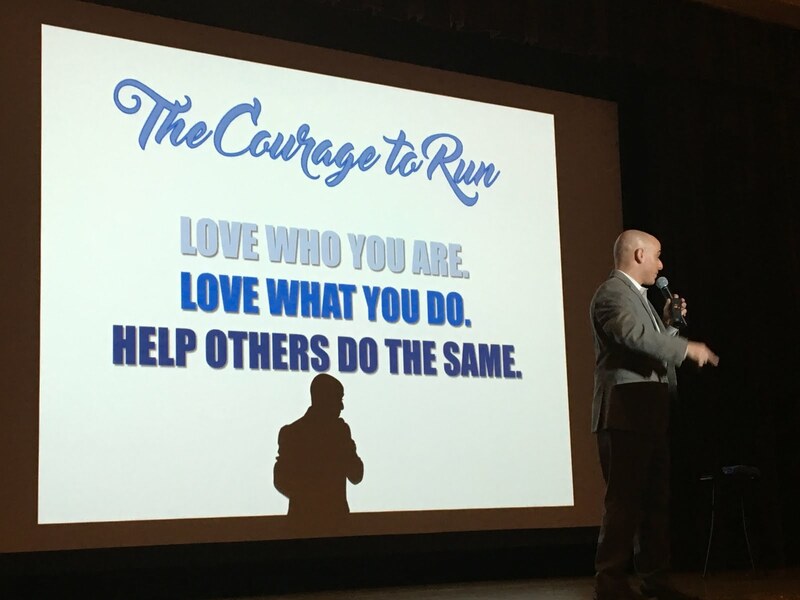 There he was on stage, my longtime colleague Aaron Polansky taking a risk on a new keynote called “The Courage to Run.” Although I have known Aaron for over 10 years, I had never seen him do a full keynote. I’ve probably seen him do more karaoke songs instead (and man does he have a great voice!) However, I wasn’t worried, though, because I knew he had the passion and ability to share some thought-provoking ideas; he did not disappoint. In preparation for the event, we discussed the theme of the PD day “Inspire ’16” and our goal was for him to offer inspiration to teachers and staff on connecting with students, fostering a growth mindset, and building a positive school culture. In 45 minutes, he had us laughing, reflecting, and (dare I say) crying as he challenged us to think differently, to change worlds through our words, and take risks. What better image then to image yourself growing or rotting? I’d choose to grow, wouldn’t you? But growing isn’t always comfortable and involves taking risks. 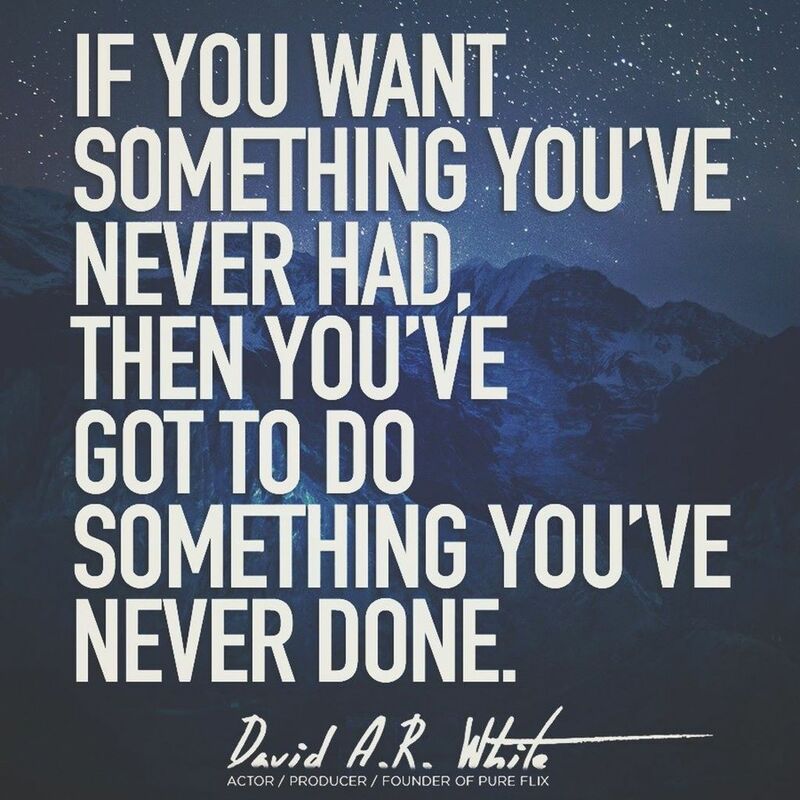 You don’t grow by staying comfortable, but instead it often takes great risks to gain great rewards. Instead of staying comfortable, growth can come from embracing new opportunities. In keeping with this mindset, I will be taking on a challenge that district and school leaders have been participating in across the U.S. this month called the Shadow a Student Challenge. This challenge’s purpose is to provide leaders with opportunities to walk a day in the shoes of students to better empathize with the student experience. For me, this challenge is a perfect match of continuing the spirit of Aaron’s message of getting to know our students as individuals. It also is an opportunity to challenge myself to take a risk in doing something completely different, but with something that has the potential of a great reward. What better way for me to become more familiar with our curriculum and impact on students than experiencing it alongside our students? Beginning next week I will start my journey as a MURSD student with my first shadow (hopefully of many in the district) of a 4th-grade student at Memorial Elementary. I have picked out my outfit, sharpened my pencil, and picked out my snack choice in eager anticipation of “being more dog” and going out to carpe diem. Who else is willing to take on this challenge? I love this idea. What a great idea to get a better idea of what it really is like for a student. I hope they save you a seat at lunch.